Here is my base protein bar recipe (adapted from Jamie Eason’s Cinnamon Swirl Recipe). Once you have this part down all you need to do is add your own extracts to create your own flavor of bars! I usually do 2-3tsp extract per batch. 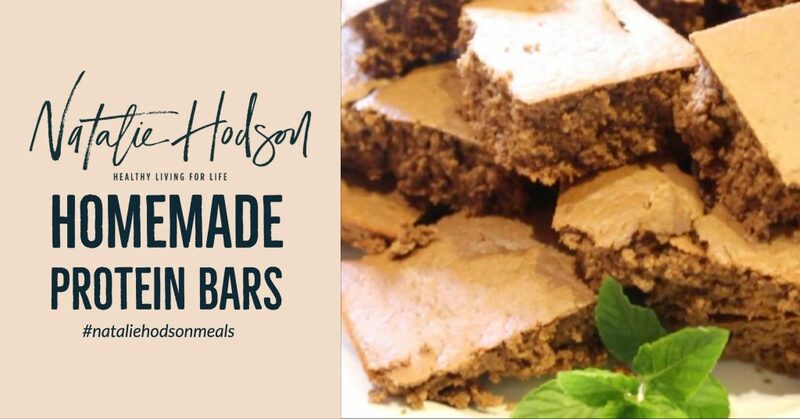 The homemade protein bars have no preservatives in them. So, if you make them you MUST keep them in the fridge or the freezer or they will spoil after one day left on the counter. I learned this the hard way! I usually let them cool then put 4 squares in a ziploc sandwich bag and stick them in the fridge or freezer. They will be good 4-5 days in the fridge otherwise stick them in the freezer.